Continuing from our Portugal trip (see our last newsletter), we flew from Barcelona to Southern Spain with our first stop being Granada; a cross-roads of civilizations where Spain’s Moorish and Christian history intertwine with the vibrant (albeit hilly) streets lined with bars, bohemian cafes, and intimate flamenco clubs. Our taste buds met with amazing food whilst our eyes beheld astonishing cathedrals, castles, and architecture. 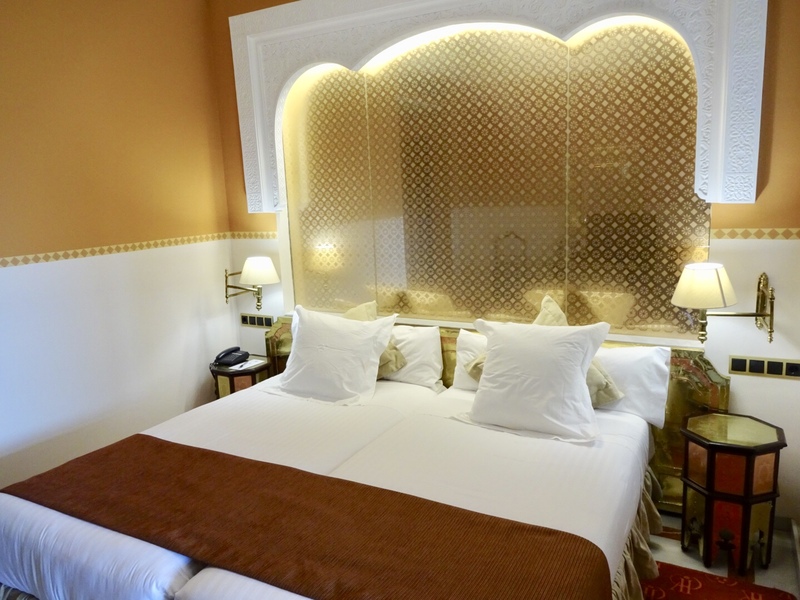 Our chosen abode was the stunning Alhambra Palace Hotel which features Moorish-inspired décor and is only a five-minute walk to the Alhambra and not far from the city centre. 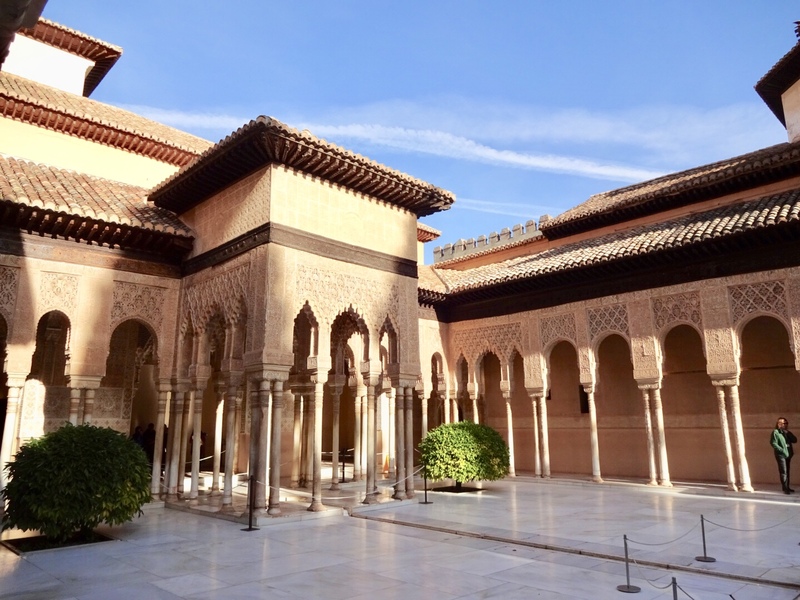 Inside, marble pillars and floors and horseshoe-shaped arches echo the interior of the Alhambra itself. The hotel was built in 1910 and was upgraded from four-star to five-star status in 2017 following a major refurbishment. We caught a flamenco show in the Sacromonte district famous for its gypsy caves. Admittedly, it’s a very touristy thing to do but fun nonetheless. The cave-studded neighbourhood is interesting in itself as homes first to Arabs and then to gypsies who moved into them after the conquest. 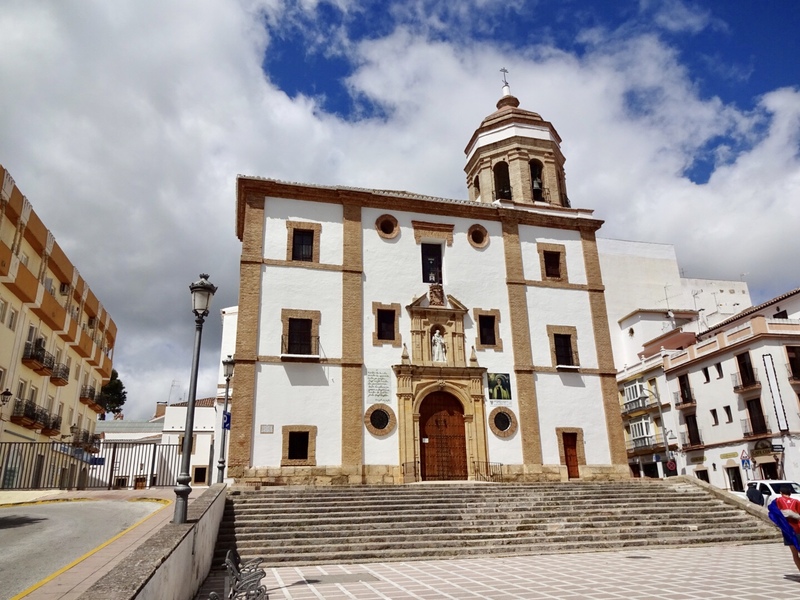 The quality in performances can vary depending on the venue but you can wander around later in the evenings and explore the intriguing lanes that run above and below the main street – Camino del Sacromonte – and you’re bound to find a less commercial rendition of zambra. 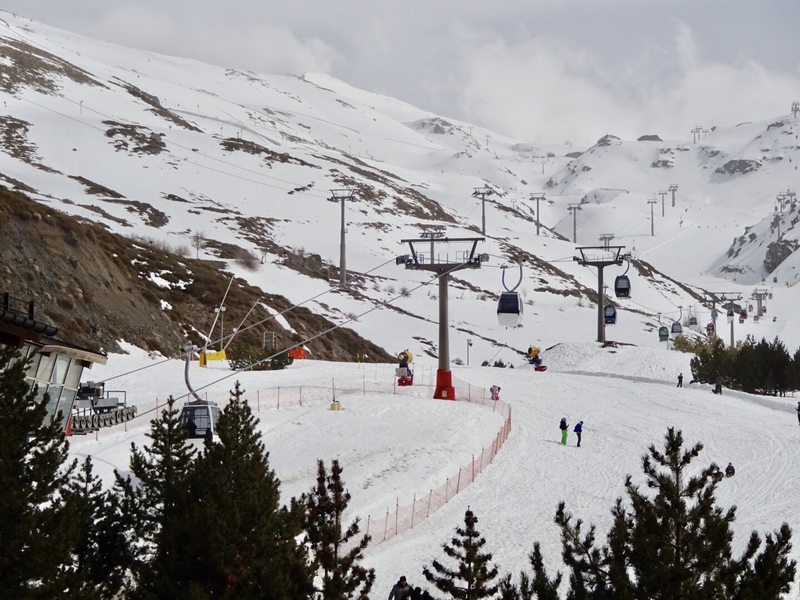 We also took another trip to the snow, this time to Sierra Nevada, which impends over the city of Granada. 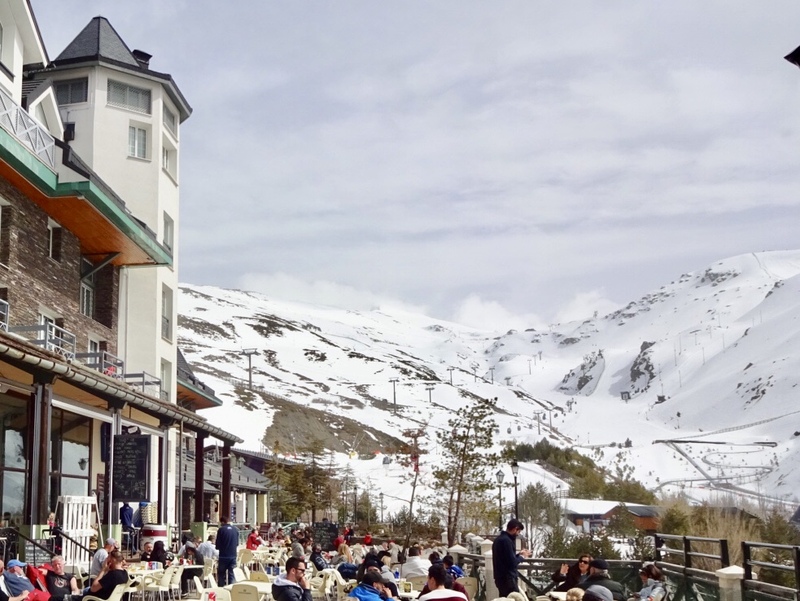 The soaring snow-capped mountains are the highest peaks in Southern Spain and is also the largest national park. Home to 2,100 of Spain’s 7,000 plant species, the mountain range provides spectacular scenery and unique trekking opportunities. The highlight of our Granada trip was of course the fabled Alhambra. We didn’t pre-book to see this landmark – a huge mistake. Upon attempting to get tickets we were told they were sold out for weeks. The hotel told us that if we headed up to the palace gates early, we might get lucky. At 6.30am the next morning we arrived and waited – along with about 100 other people who were in the same predicament. In the freezing cold we waited for over an hour only to find that there were no longer tickets available that day! We slunk away in dismay reflecting on how utterly stupid we had been to not have pre-purchased tickets. Back at the hotel, we tried again only to be disappointed again. 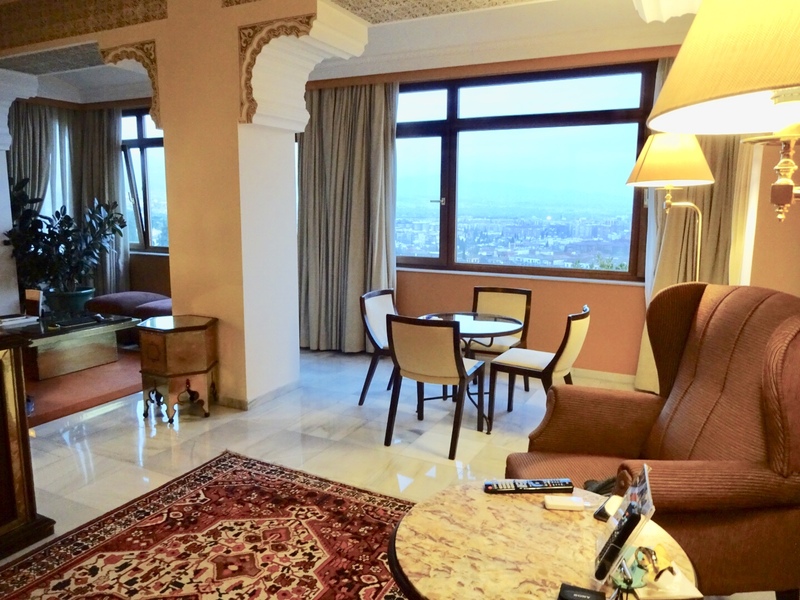 We begged them to alert us at the slightest chance of a cancellation and as luck would have it, we received a call as soon as we reached our room with the magic words that there was a cancellation for the tour starting in 15 minutes! Our efforts were well worth it as the fortified palace complex that is the Alhambra was bewilderingly breath-taking. Dating back to 889 AD, Granada’s Nasrid rulers transformed it from a walled citadel into a fortified palace complex in 1333. Following the Christian Reconquista in 1492 it became the Royal Palace of Ferdinand and Isabella (where Christopher Columbus received endorsement for his expedition). The details just cannot be translated in photos, but the workmanship was obviously exquisite, giving a lucid sense of what life may have been like within the walls of the Palace. 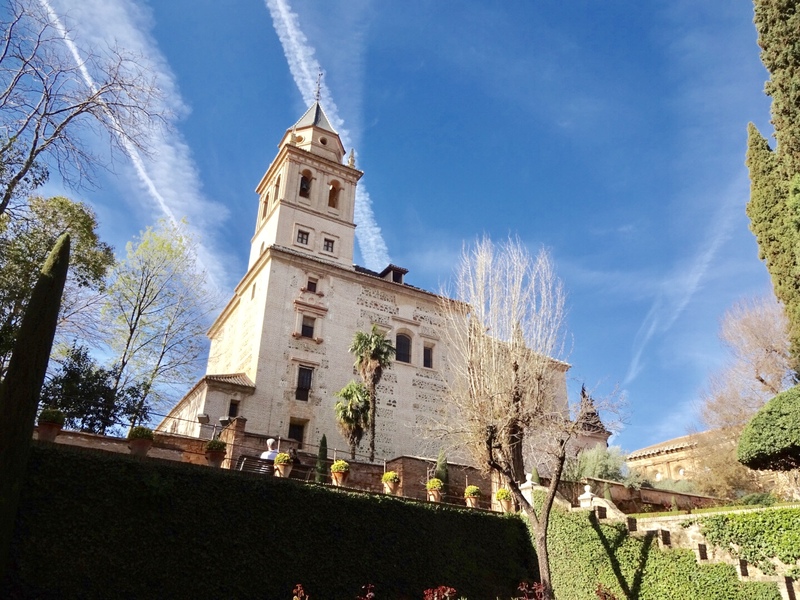 The Alhambra is one of most frequented sites in Southern Spain, and indeed the country, (drawing up to 6,000 visitors per day) and is a definite must-do when visiting Granada – just remember to buy tickets well in advance! 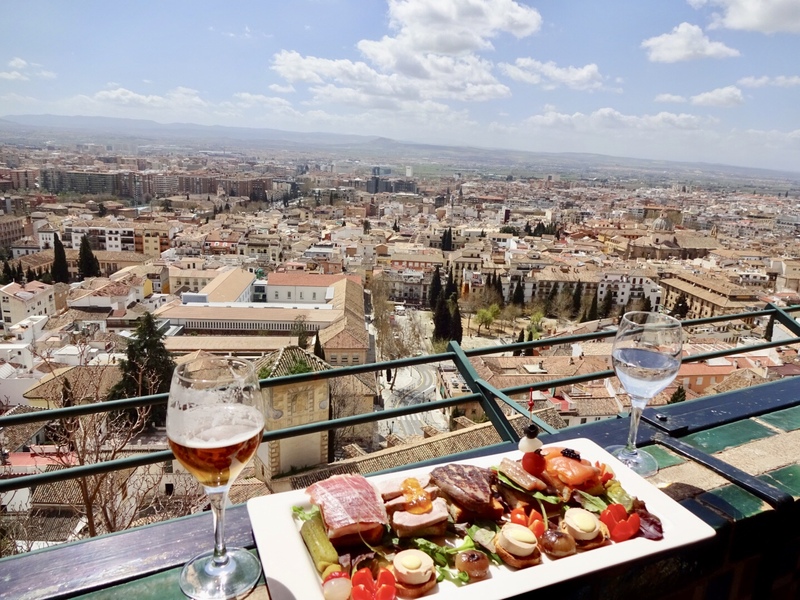 Our experience of Granada was (mostly) a lovely, relaxed, happy, and safe one – we will certainly visit again. 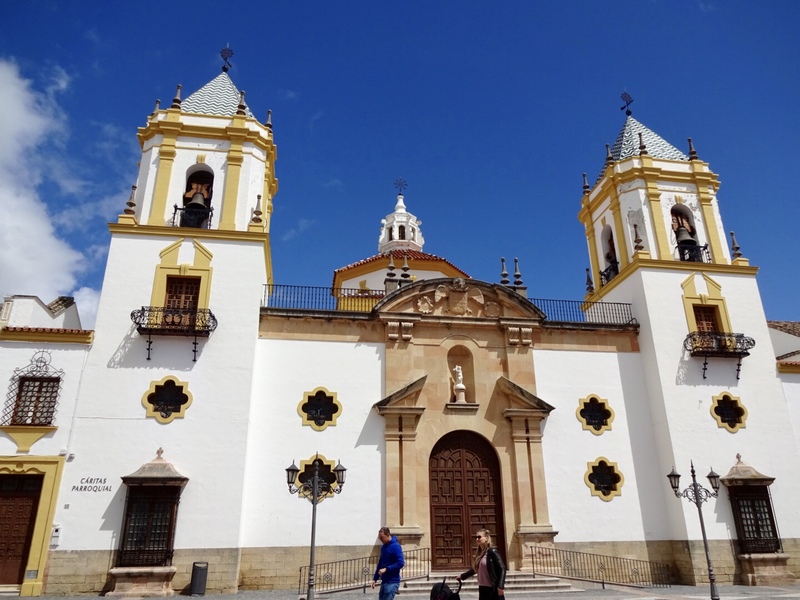 Leaving Granada, we stopped for one night in Ronda, a beautiful little town in the region of Malaga in Southern Spain. Its distinct characteristic is that it is built over two sides of El Tajo – a gorge that separates the city’s Old Town (dating back to Moorish rule) and new town (around 15th century). A remarkable stone bridge, the Puente Nuevo, joins the old Moorish town with the newer, El Mercadillo parts of the city. 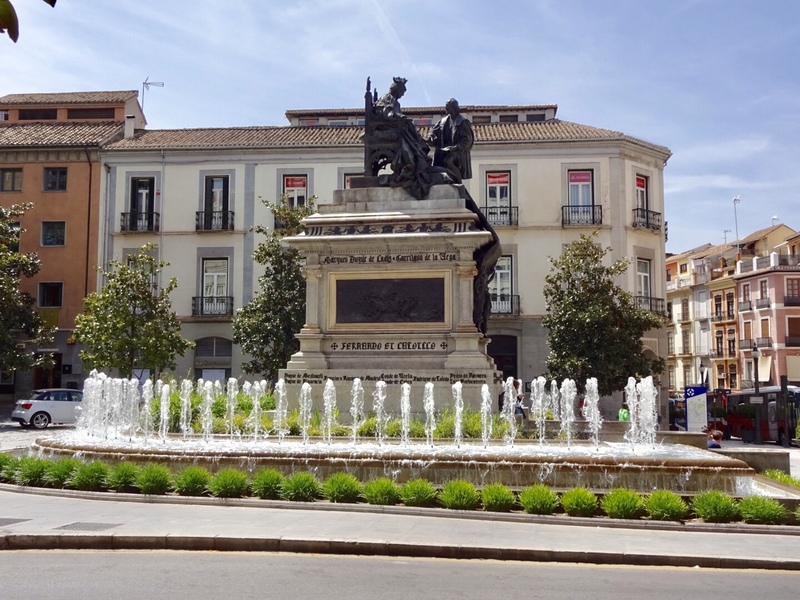 Our brief sojourn at one of the most visited cities in Southern Spain was eventful. We were completely unaware of the fact that a marathon was being held during our stay. All the streets to the Old Town were closed with no way of getting the car into the area until after 7pm that night. We eventually parked and walked miles to our hotel, leaving our luggage behind. 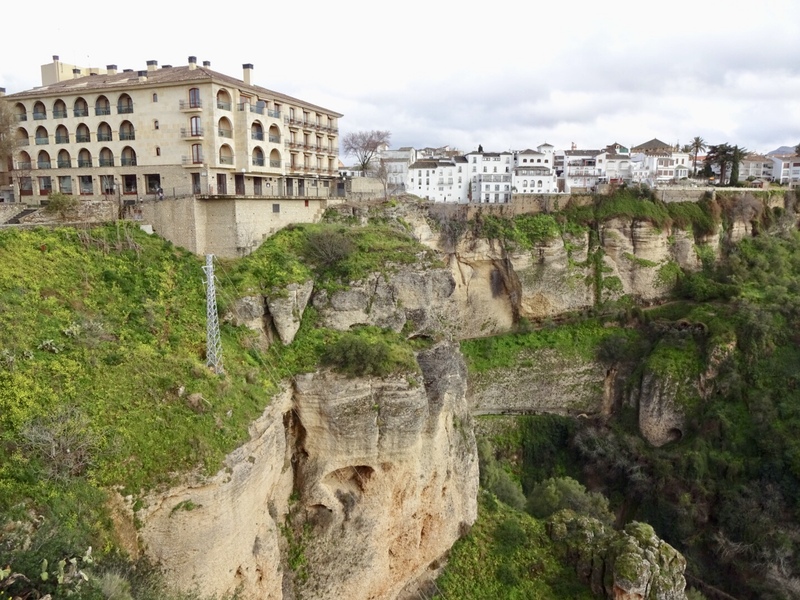 We finally checked into our room at Parador de Ronda which sits adjacent to the bridge with promises of unmatched views of the gorge. Once actually in our room, we enjoyed the celebrated views – for a whole 15 minutes, after which the rain came…and it came… and it came. It hadn’t stopped even as we drove out at 7am the following morning. Eventually we were able to go out into the pouring rain and retrieve the car but by this time the views were lost to us and as the torrential rain teamed up with thick fog, we completely failed to catch the spectacular views of the illuminated bridge by night. Well, we were told they were spectacular! There was a positive aspect to our run of bad luck though, in the form of a delightful little restaurant that we managed to happen upon which was warm and cosy and had huge tomatoes! 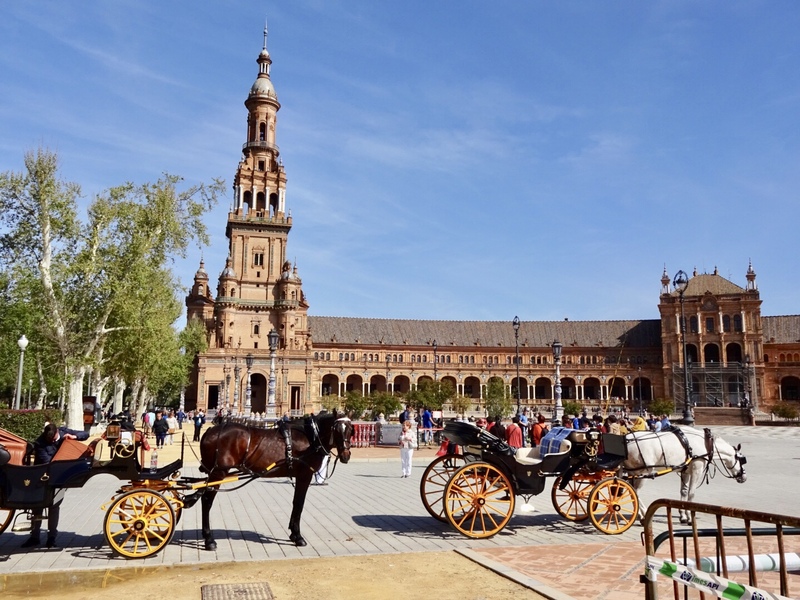 We saved the best for last as we moved on to the final leg of our journey to Southern Spain – Seville. Known for bullfights and home of Bizet’s Carmen, and to flamenco; this city of passion is as much about its rich history seen in the magnificent Mudéjar palaces and baroque churches, as it is about the present reflected in the ultra-modern structures, and in the streets lined with endless bars and restaurants, and crowded tapas hotspots. 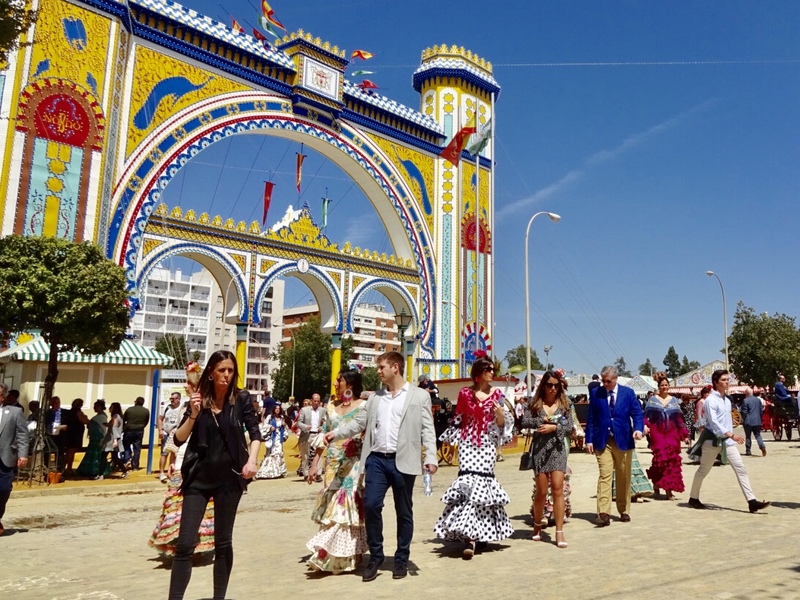 Unbeknownst to us, our visit coincided with one the most renowned festivals in Southern Spain, Feria de Abril (the April Fair or Seville Festival). It signalled a massive week of revelry for the locals, and for us. It was a wonderful time to take in the colours and enjoy the spectacle that is this joyous occasion. The festival takes place two weeks after the solemnity of Holy week and seems to be the time for everyone to let their hair down. 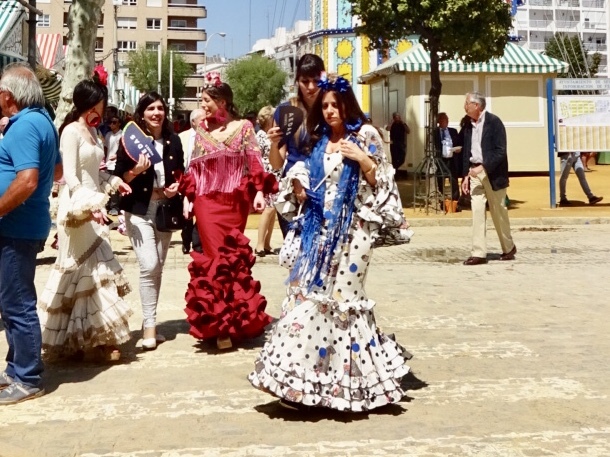 Everyone dresses up in their finest; the wealthy pull out their private horse-drawn carriages and even the horses don their best as they all head to the city’s fairground to dance flamenco and consume vast quantities of sherry over a week-long fiesta. There are more than 1,000 casetas (private party tents) where friends meet up for the festivities. 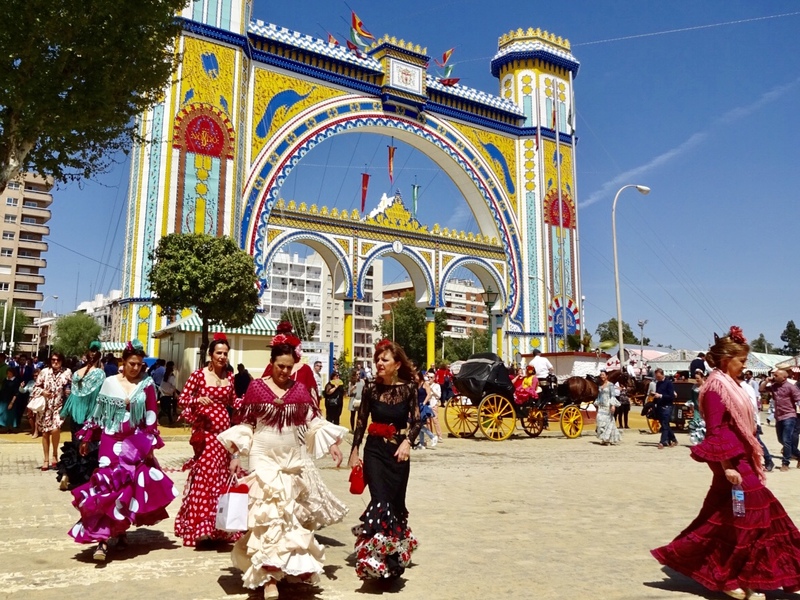 The ‘Real de la Feria’, where the Feria takes place, covers 1.2sq km and includes the amusement park and the 1,000 casetas which are arranged along 12 streets. 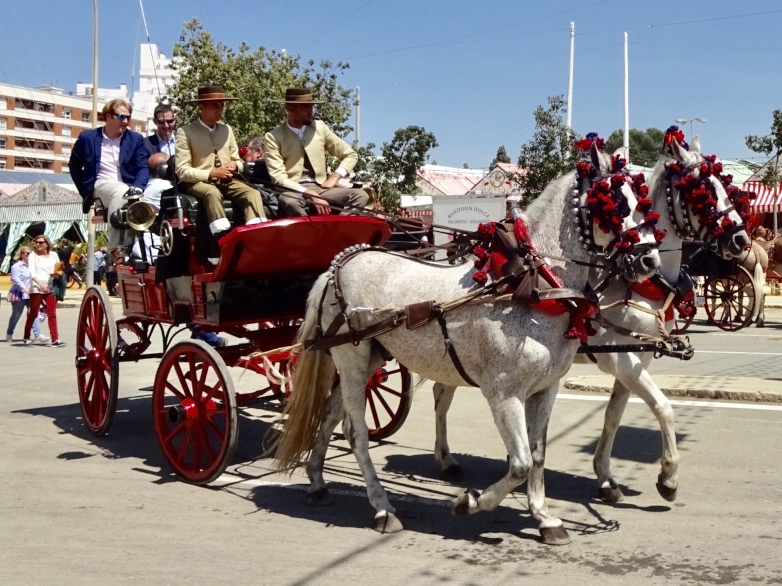 Each day we would watch the carriages go past us in the Old Town on their way to Feria (usually we’d get a warning in advance by the jingling of the bells on the magnificent horses and the clip clop of their hooves echoing as they made their way along the cobble stone streets). On our final day we made the trek ourselves, so we could soak up the atmosphere for ourselves and experience firsthand what it was all about – and it truly was an experience that we will never forget! We walked along with thousands of others (those not wealthy enough to make the trip via horse and carriage) taking in as much as we could of this marvellous event. 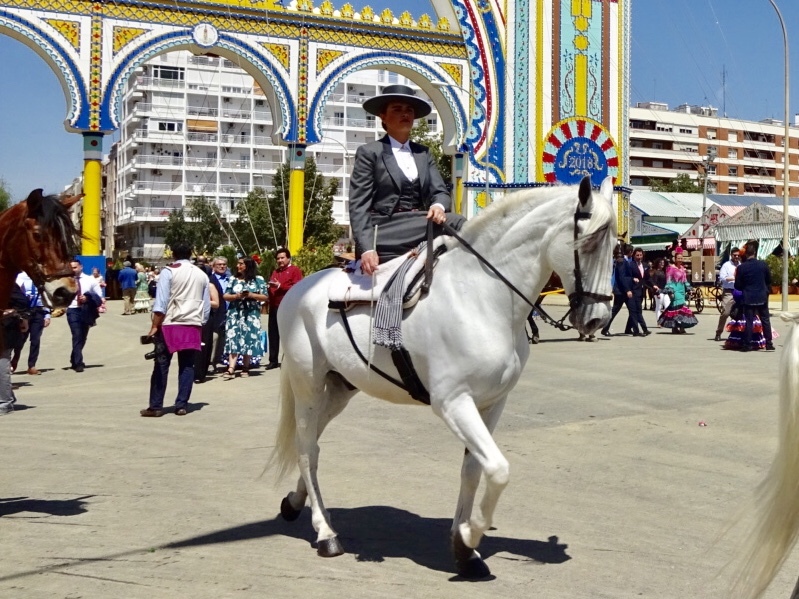 There were people of all ages and frocks of every colour imaginable, but the highlight for us was the horses. People not only arrived by horse and carriage, but then they also performed laps of the streets of Feria, parading in their carriages or, for the serious horsemen and women, riding around on their mounts (the ladies side saddle of course) looking very serious (apart from the ones in full party mode drinking champagne as they rode).